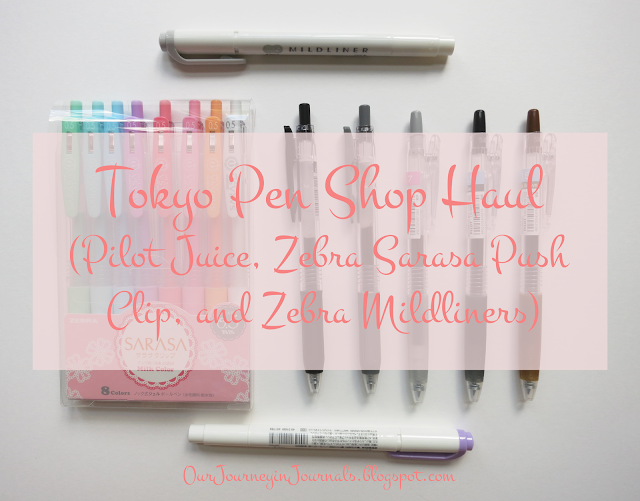 As of when this Tokyo Pen Shop haul post is published, I will be in China. Yay for post scheduling features! As said before, I won't be able to do anything blog-related during this vacation because Google products - namely Blogger, Instagram, and Facebook are all blocked in China, and these three services are my top used social media platforms for Our Journey in Journals. I'm a little sad, but I'll be back on the 25th. Andie will be back from China on August 11, so hopefully she'll finally be able to post something soon after that! I have to admit something: I'm a little addicted to seeing other people's stationery hauls. Hauls are pretty great, stationery is even better, so a good old stationery haul, whether it be my own or looking at someone else's, is always a fun thing. This is from a couple of weeks ago, but there were other things that I wanted to post before talking about these pens that I got from Tokyo Pen Shop. But anyway, enough rambling - let's see what I got! I placed my order on a Wednesday night, and the package arrived at noon the following Saturday. Tokyo Pen Shop is based in Fairfield, Illinois, and I live in central Indiana. As far as shipments go in general, this is pretty quick. There were five things that came in the package: a white envelope with the single pens, a pen that came in its own package, the invoice, a Tokyo Pen Shop sticker, and a melon Hi-Chew. 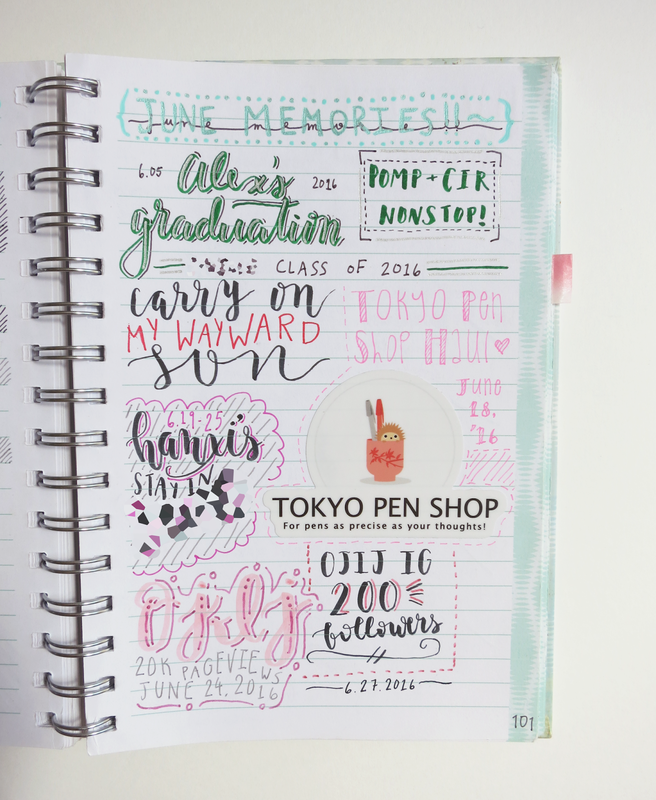 The last two were just nice things to have, and the sticker currently resides on my June memories page. The invoice was also pretty great - you know, as far as invoices go. There was a handwritten note from Kimberly, the co-owner and main stationery addict behind the shop, that simply said to enjoy the pens. I think this is a nice touch, and it gives a much more personal feel to the store. Additionally, the items of the invoice all had X's drawn next to them, which I think is the shop ensuring that no pens are left out of the purchase. I just wish that it listed the prices of each product. 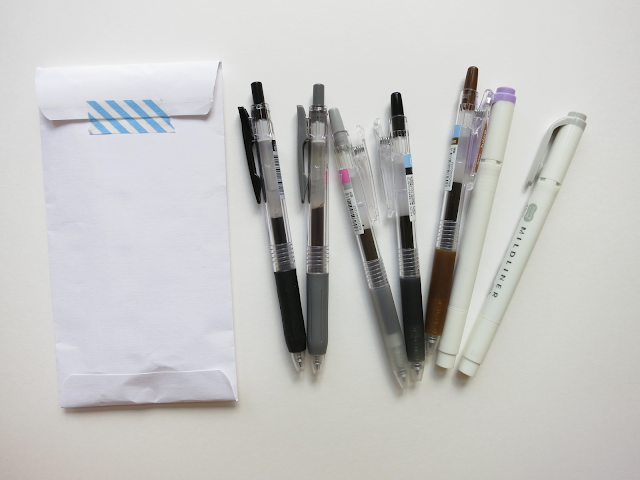 The white envelope was taped shut by cute washi, and it had all of the single pens that I bought. 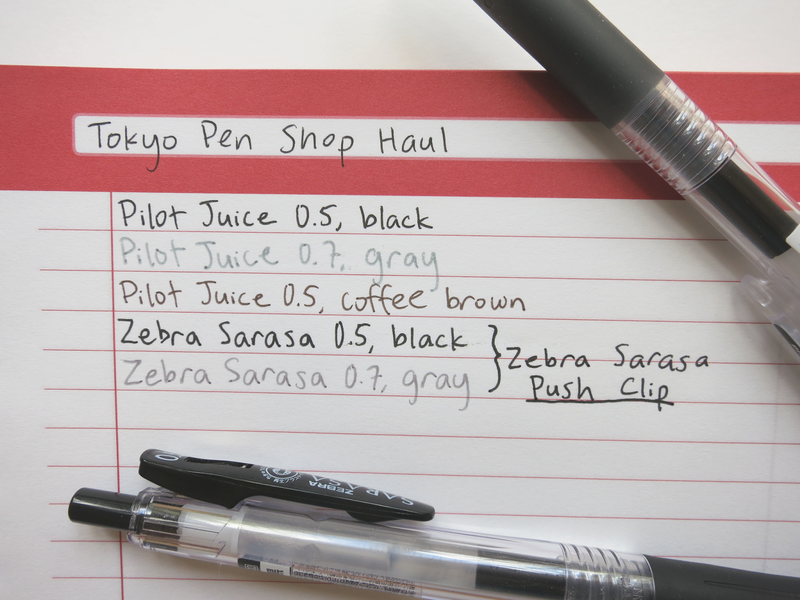 This includes the Pilot Juice Gel Pen in 0.5 Coffee Brown, 0.5 Black, and 0.7 Gray ($1.65 each), the Zebra Sarasa Push Clip Gel Pen in 0.5 Black and 0.7 Gray ($1.70 each), and the Zebra Mildliner Highlighter in Mild Gray and Mild Violet ($2.50 each). Since discovering the studyblr community this summer, I've gotten even more into pens and stationery. It's how I learned of any of the products I got in the first place. The Pilot Juice and Zebra Sarasa Push Clip pens really intrigued me because of their unique clips, and I wanted to compare the two. I will be doing a comparison post of them in the future, so stay tuned for that! 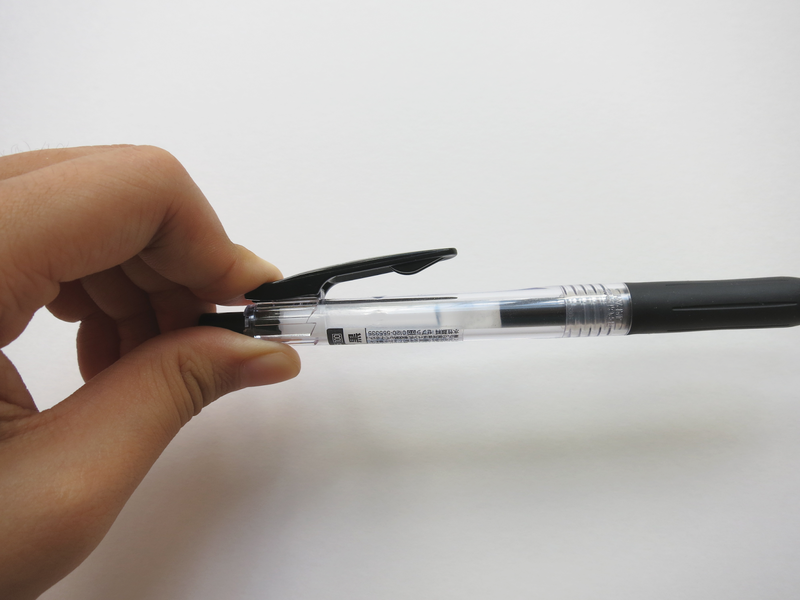 But in all honesty, they are both very good pens; you really wouldn't be able to go wrong with either of the two. 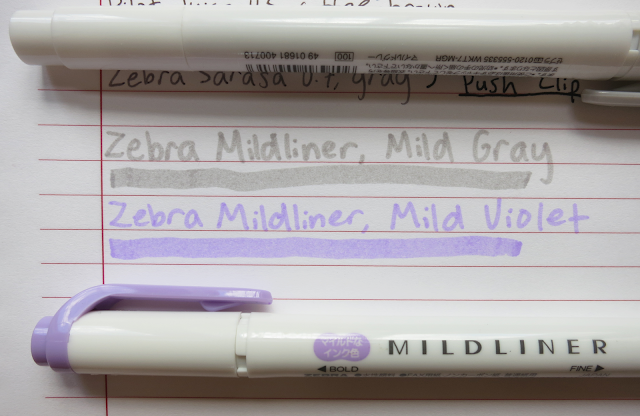 The Zebra Mildliners are double-sided, pastel/soft-color highlighters. One side is a normal chisel tip, and the other is smaller bullet tip. I just wanted to get a few to try them out, but I will definitely be getting more in the future. Out of the two colors I got, I especially like the gray; I've never seen another highlighter of this color before. You can get both of these in the Cool & Refined 5 Pack. 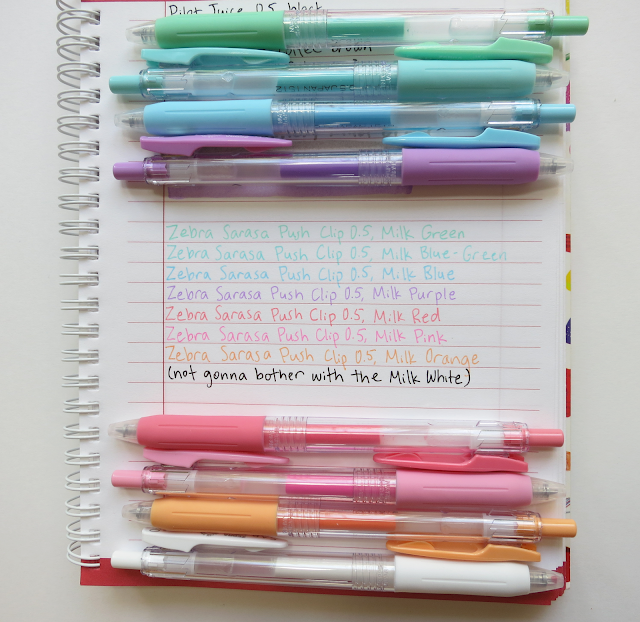 The last thing I got was the Zebra Sarasa Clip Milk 8-Color Set in 0.5 for $13. It comes with eight pastel colors: Milk Green, Milk Blue-Green, Milk Blue, Milk Purple, Milk Red, Milk Pink, Milk Orange, and Milk White. These colors are all very pretty, and I used the Milk Pink in my July bullet journal setup and in this weekly spread. The package that it comes in is also quite pretty - along with functional, so it may look a little beat up because I've been bringing it around with me a lot. 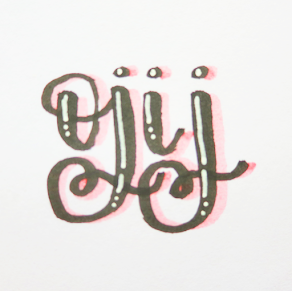 Additionally, the pastel colors surprisingly actually show up quite well on white paper. All of the gel pens (meaning the Zebra Sarasa Clips and Pilot Juices) came with that wax ball on the tip to prevent any mess. However, I don't remember any of the pens having leaked inside the wax (except maybe one?). 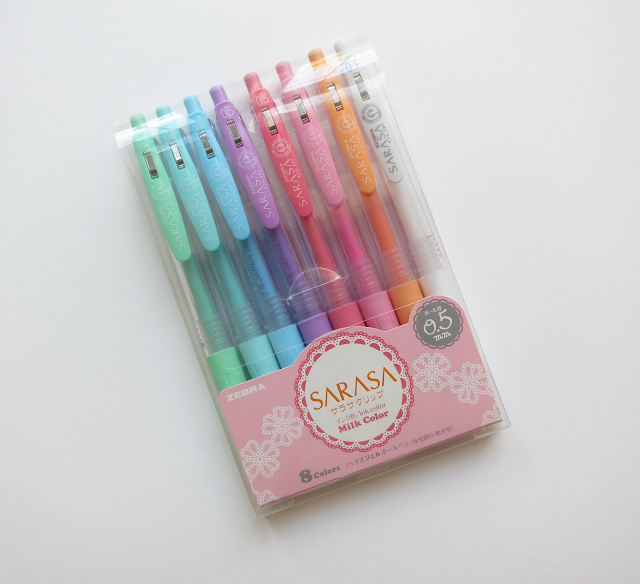 The Zebra Sarasa Clips had pink wax balls, and the Pilot Juices had blue ones. I usually just use my nails to take these off, but when I did so with these ones, some of the wax got stuck onto the pen tip. 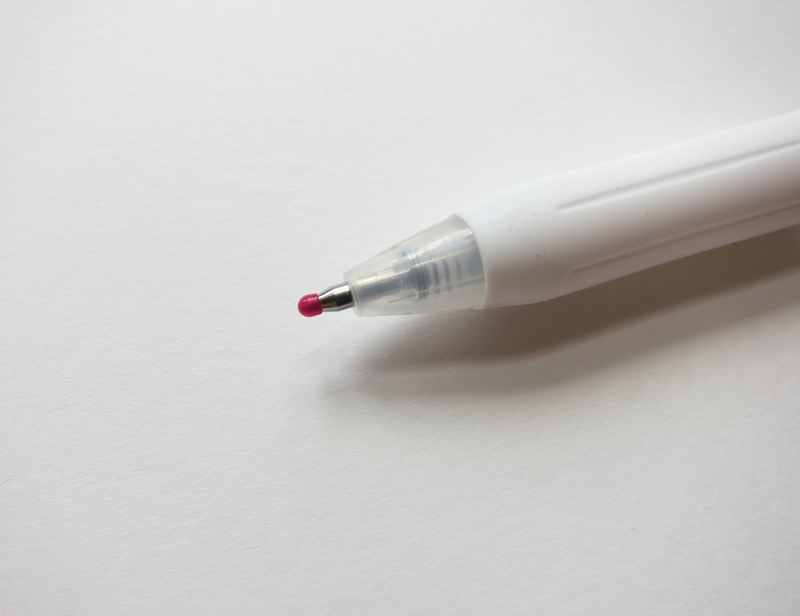 So instead, I dragged the pen across a paper, and that got the ball off much more cleanly and efficiently. So this is all of the stuff I got from Tokyo Pen Shop! I'm quite enjoying all of the things I purchased, and I will be doing reviews of all of them in the future. I hope you enjoyed this vacation post from me! What was your favorite item out of the things that I got?